Today's release of data from Kepler showing a full five Earth-like planets in habitable zones is exactly why I was tenser watching it launch than any other mission. No mission except perhaps WISE (if it discovers one or more brown dwarfs nearby) comes close in its ability to change the way we see space as a whole, not just bits and pieces of it. Yep, that's rough. So let's think about some of the parameters that would be involved in creating a spacefaring civilization. The first one is gravity. While life is always adaptive and life on planets with higher gravity would be reflective of the environment, this doesn't mean that life on these planets would have just an easy time getting to space. Assuming life on one of these places hopes to get to space using the same methods we do (burning rocket fuel) that means they will have to achieve a much higher velocity to attain orbit. On the other hand, if we had grown up on a planet somewhat lighter than the Earth (Venus, or even less massive than that) we would have had a much easier time. 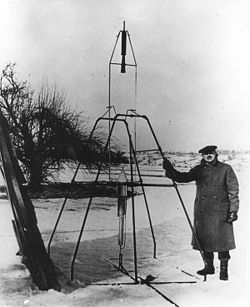 Maybe one of Goddard's rockets would have reached orbit before he died. Next up is the appearance of the sky. What does the sky look like from a planet, and how interesting is it to those on the ground? How easy is it to know without advanced tools that these objects up there are bodies orbiting each other, and that those on the surface are also on a body orbiting a larger one? How often is intelligent life on the surface of these planets reminded of space and driven to get up there to see in person just what these objects are? Next is similar but significantly different: interesting locations to visit nearby. This may be one of the most important parts of the equation, since the more interesting locations there are to visit at the dawn of the space era, the more likely it is that interest will remain high and making the jump to a spacefaring race will be second nature. Let's first take a look at Earth as an example of a fairly good but not ideal place. Earth: the Moon is without a doubt the most consistently interesting object in the sky, and its useful nature is indisputable. Anyone can measure the passage of a month using it, it provides light at night. It eclipses the sun, we eclipse it, the Moon keeps us looking up at the sky. Those are all positives. The only negative is this: the Moon is the only interesting location we can get to within a few days and without having to wait for launch windows, and if we lose interest in that, we lose interest in everything nearby. After the Moon there really isn't much: sometimes asteroids pass by, when launch windows open up we can reach Venus or Mars after a few months' travel. Unmanned probes can be sent but for humans radiation is a problem and...eh, let's just spend the money here on Earth, there's nothing up there. That's the frame of mind that one can easily fall into when there is only one worthwhile destination close by. Now let's move to somewhere else: Jupiter. Let's pretend that instead of Earth, life originated on a gas giant planet similar to Jupiter, on its equivalent of Callisto. Maybe we'll take Jupiter and add a bit of mass to everything and then move it in to an orbit around Mars. The details aren't important, but just imagine that Jupiter has been moved closer to the sun and life developed on Callisto, where radiation is low. So what would the sky look like to life on this warm Callisto? The moon would be tidally locked to Jupiter, so it would be the most impressive object in the sky, an unmoving disc with swirling layers of gas. Jupiter would only be about five times farther away than the Moon, and its other largest moons would be easily spotted as well. Ganymede is much larger and brighter than our moon, and gets as close as 800,000 km from Callisto quite frequently as it orbits Jupiter every week, and Callisto every 16 days. 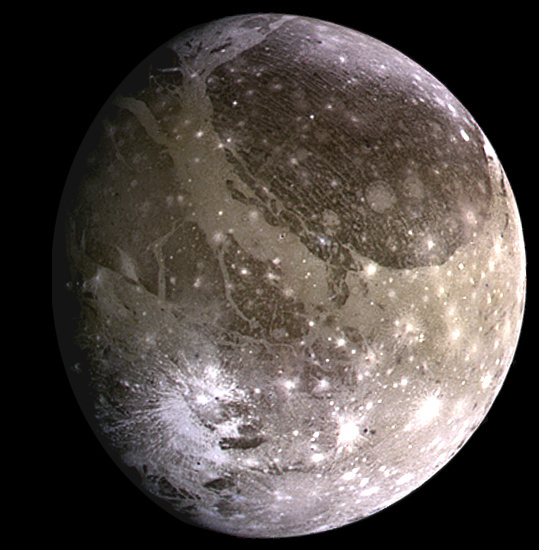 And while Callisto is tidally locked to its planet it is not tidally locked to the Sun, so it has days and nights. So on top of this fascinating night sky we have to look at, the environment nearby is also interesting enough that just exploring all of it once would certainly take enough time that we would be a full spacefaring race at the end. Imagine the Space Race, but with three large moons within a week or two of travel instead of just one, a huge planet in the sky to send probes to, and a few dozen other bodies of tens of kilometres in diameter close by too. The rest of the Solar System wouldn't even be worth trying to explore in the beginning. Instead of sending probes to Venus and Mars with varying degrees of success after months of travel time, we would be sending probes to Ganymede, Europa and Io with much greater success and just a week or two of travel time. The opposite of this would be a moonless Earth, in a lonely solar system with maybe one gas giant kind of far away and a Mercury equivalent close to its sun...with nothing to explore nearby and not much to see in the sky besides stars one wonders how determined life below would be to explore in the first place. This is not to say that one is guaranteed to become spacefaring and the latter is not, but if we are to take a look at thousands of planets with possible life and guess which ones are most likely to have a spacefaring civilization, the ability to get to space (gravity) plus having things to do nearby would certainly be a factor. Also keep in mind that it's very likely that such civilizations would wipe themselves out. Perhaps civilizations around planets like Jupiter in habitable zones soon obtain the ability to fly and reach space, but soon succumb to the temptation to use these tools for evil. On the other hand, a civilization in the most boring corner of space may spend most of its time learning to live with each other, progressing bit by bit until a kind of utopia is achieved and then is able to turn its full potential towards the exploration of space, which it then does with a mastery and maturity that the other civilization never achieved. So don't give up on Vulcan just yet.